AJWS joined with many others to achieve what seemed impossible—making Liberia, the Western African country with the highest number of Ebola deaths, Ebola-free. Long before the Ebola crisis, AJWS supported advocates for peace and justice in Liberia for more than a decade. 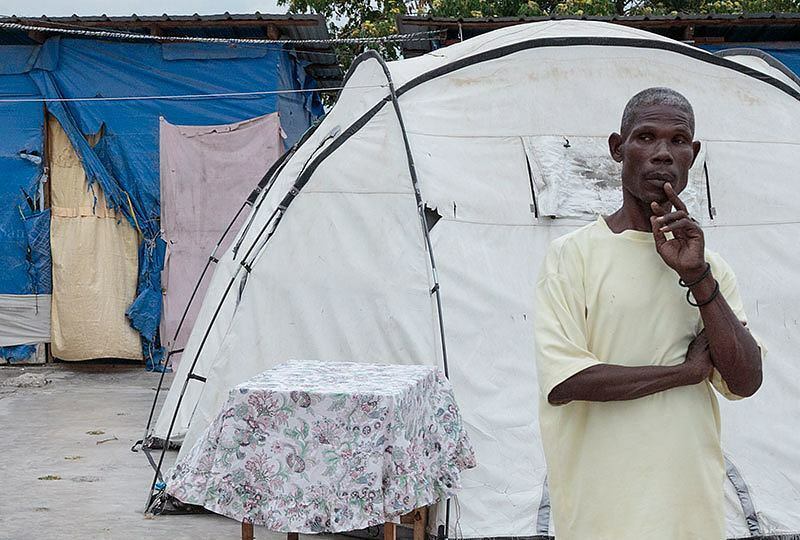 When the Ebola outbreak began, our grantees in Liberia immediately turned to us for help. AJWS’s donors responded generously, contributing more than $1 million to help us fund life-saving efforts. AJWS sent emergency aid to 20 community-based organizations that educated more than 30,000 households about how to prevent becoming infected with Ebola. AJWS made a very significant contribution by deploying trusted networks of community activists at a time when there was very little trust in Liberia. In May 2015, the World Health Organization declared that Liberia was free of Ebola. By sending aid and advocating in Washington, D.C., AJWS has made a major contribution to Haiti’s recovery from the 7.0 magnitude earthquake of 2010. Immediately, AJWS provided $6 million to help earthquake survivors recover and rebuild their communities and advocated for and achieved policy changes in Washington, D.C. that have benefited the people of Haiti. Over the past five years since the quake, AJWS has supported 66 community-based groups engaged in emergency relief and long-term reconstruction efforts in Haiti with a focus on helping the most vulnerable Haitians. AJWS grantees have provided humanitarian aid, reduced violence against women in the displacement camps, advocated for permanent housing for earthquake survivors, fought for the rights of HIV-positive community members, taught people to advocate for their rights and helped communities cope with the economic collapse that the earthquake caused. To help Haiti recover, AJWS and its allies in the U.S. have helped secure $2.8 billion of additional U.S. relief funding and cancellation of more than $700 million of Haiti’s debt. AJWS staff also helped Congress craft the Assessing Progress in Haiti Act of 2013, which will help ensure that American aid is distributed effectively and transparently.